Previous Posts Community Spotlight: Are 'Companions' to be Commonplace? Weeping & Wailing in the Old Republic Community Spotlight: Why Gank Newbies? Community Spotlight: The Sandbox Never Got its Chance Community Spotlight: Are MMOs Too Easy? Community Spotlight: Difficulty Playing with Friends STO Boldly Going F2P Guild Wars 2: When they said GUILD Wars... Community Spotlight: Leaving the Holy Trinity Behind Community Spotlight: What's Your Deal Breaker? I hear people constantly bitching and moaning about end game content. (Because most people forget the journey to end game and focus on it too much, imho). Well what would you do to make end game better? So, what does the MMORPG.community have to say? Read on to find out! I'd first create a NON-Linear game, because LINEAR games eventually have an END to their path. Then the developers have tack MORE on to the end of them. My end game, would be a Galactic War with dynamically shifting territories based on PLAYER actions, with a Player Economy. Meaning, the "End Game" would be what ever the PLAYERS breath life into with DYNAMIC mechanics that my company/Dev team would create. A DYNAMIC Player controlled "End Game" is one that almost can never end as long as the Developers are SLIGHTLY breathing life into more mechanics! 1. World PvP in the DAoC mode with more then 2 factions, although I think the GW2 WvWvW mode may be better. 2. Meaningful Alternate Advancement. A system that uses XP earned to advance skills in a non linear dynamic fashion similar to how Asherons Call does it, although I would make it a soft cap and not a hard cap so an experianced player that has played for years will have a slight advantage over newbies but not enough where it would be unbalanced. 3. A dynamic loot system similar to Asherons Call and Diablo. 4. Monthly content updates with new quests and dungeons and a storyline that players can follow. By having your character dying of old age/retiring, and your next will be a descendant of it with some bonus traits/stats/skills (depending on which class they were, sort of like a reborn system with some either predetermand or selected things carrying over to the next), and just have it keep progressing from there for infinity (probably need a limit to how many times it can be done without needing to replace some things). Or something like an alternate deminsion/world with increased difficulty/loot where your characters carry over (think Diablo with it's regular playthrough, then Hell difficulty etc, with it's harder mobs and better loot while keeping the same characters and gear you had). Personally I would like to see a hybrid of both of those things mashed together, imo that would be 100x better than raid/pvp grind with the occasional new content. Personally, my endgame would revolve around PvP. PvP tends to perpetuate itself if it's done really well. And since it doesn't depend primarily on content designed by the developers, which is notoriously consumed by voracious MMO players at a ridiculous rate, it has the most potential to be long-lasting. My favorite 'endgame' was the flawed campaign system of Warhammer Online. While the implementation wasn't perfect, and the lack of three factions was a real problem, the concept was amazing. A PvP campaign that extends from the start of your progression through the end culminating in the sacking of your enemy's capital city? Awesome. Unfortunately, players whined about the ramifications of losing their capital (losing access to dungeons and other areas of their capital) and so the system was continuously dumbed down until it was almost invalidated outright. Perhaps with the right community and better implementation this sort of design could really thrive. Here's hoping. One type of end game is bad end game. Player made economy , big world , social emphasis + good pvp and pve. Game nowadays are too streamlined for one type of fun. It is either raiding and running other instances or rvr pvp. There is no game that combine both of those AND add player-made economy , big spaces with many diffrent spots to find and interesting places to explore + make a quick means of travelling BUT throw out things like LFG tools. Any End Game that coninues the story. Several singlelayer games do that, one of my favorite bwing dragon quest, i like how they constantly update it so it continues the story. However, saly in mmos you have to get an expansion to accomplish this. Oh well. I would like to see some kind of game with a large server/map area base which allows for a lot of exploration where areas could also change over time. I dunno, maybe a prehistoric theme; volcanos and continents shifting at times etc. Then I would have communities with community projects utilizing harvested/crafted things which taking part in would gain in reputation with that city which would decay over time so you would have to choice a few of say 10 citys to rep in etc. Take it further and player housing similar to Istaria except done alot better. Tax those. Make it some investment to get one let alone set it up and furnish it. Maybe a few PVE raid things but that would be only side content. PVP could be in place but I have lost my faith that it could ever be done right. PVP by nature always devolves. And no F'ing cash shops!!! End game should mean that I am finished with the game and time to move on to other things. It's the idea that a game MUST last forever that feeds the endless content problem. -Exclusive Server once a certain end game storyline has been successfully completed. -Legacy items for subsequent characters. Perhaps Legacy character slots, which may have their own unique content at the lower levels, assuming the game has character levels.  -Certain play levels that grant a free month of premium service. -Unique content for characters especially unique storylines. -Bonuses to guilds that have this character as an officer and member. A - The End Game has to be built at the same time as regular content, especially given how many players go whole hog to get to the end. B - Most games have add ons that create new levels. So End Game keeps changing. End Game should be flexible enough to sustain interest as level caps increase. In the end though devs are just going to need to seek out unique End Game ideas to keep their games fresh. 1) Forget raiding content as only a tiny % of population makes it that far. 2) Random instances. By Random I mean like Diablo 1 dungeons, put some quest givers in them and go to it. The instances can be solo or group and let them scale for 1, 6 or 12 players. Scaling the encounters & rewards as well. If you build a system for this then its a good idea to actually use it often throughout your game not just at the end. 3) sideways progression, even if its just some sort of XP accumulation after cap that can then somehow we utilised when you raise the cap or add other sideways progression mechanics. 4) Areas that can be revisited at cap. So many games spend lots of time ushering you from quest hub to quest hub & you never return to these areas as a high level. I think much can be gained from putting some endgame instances (see the random idea) in obscure lower level areas. I also think its a good idea even with non rnadom instances to allow them to be scaled up for people who have hit cap to revisit them and have an appropriate experience. 5) have your followup content patches planned out to relese bit by bit. Having Random instance would rally help here as new content packs would not only add new areas but expand the available content for the random generator to use. 6) Allow player generated missions to an extent. I would allow players ot set the story/quests, pick the NPC's they want, areas they want & monsters they want. then let the game itself scale difficulty up ro down to match level ranges, scale loot and rewards. I love the idea of a randomly generated instancs. Each area could have a theme to use as a local, but the baddies and the path through... also with possibly some scaling bits. However I would say that they should only scale so far so that people would have to leave that area and explore different areas of the game. Maybe at the max lvl they could then go back and have that instance create a top level content wise randomly created instance. I love the idea of sacking an enemies capital. Even it if happened to me side. They should have alternate dungeons though. I never played War though I wanted to, just never got around. More than two sides, if you're going to have sides always seems the better way to go. Or you could go with having a united front against a smart a.i. enemy takes over you stuff by randomly attacking it. Maybe open a new planet as more content... I don't know. MMOs should be about lonevity; Exponential leveling and large worlds ; With more than just NPC mobs to kill. Any game with an endgame is just poor design with respect to MMOs.... Retired adventurers should run the politics of nations and own a bit of land a few castles a keep or two.... Games are more than just killing NPCs especially when you are developing charachters over long periods of time. Insta win has killed the genre. Sigh: As a former (retired) game designer I have plenty of ideas of course. I am not looking for a job. My main idea is far too expansive for detail in a post - wall of text tends to be blown off. Games then either add horizontal pieces (dungeons/raids/pvp type combat scenarios) at that level or just add more levels. My own suggestions involves a different system. Adding horizontal and vertical content is fine - more content the better. But how about this? Add an entire game. As an example, take SWTOR. At level 50 have lots of horizontal stuff, as above, but use some sort of 'portal' to a sandbox type galaxy (Andromeda?) with full STO type space movement/combat. Add in an option server for those who want arcade/flight sim style of space with STO type as default. Add entire systems of major E type planet plus moons, asteroids, comets, wrecked ships, ancient civilizations etc..You should have complete separate servers for PVE, PVP and the option space movement play. I won't go into the content of this 'sandbox' style of 'endgame' as that is far too detailed. But level 50 in SWTOR would be the point where you enter a new galaxy "far, far away"! Addendum: A level 50 player can take his friends with him/her into the portal, letting lower level players get a taste of the 'endgame". After all, Andromeda is a " Galaxy far, far away" right? OOOPS! Wall of text - sorry. Tech really isn't there yet, nor do I think there is any reason to make what I would think a proper mmo would be. The worlds and universes we are given need to be endless and right now its far more profitable to do what they have been doing for what 15 years now? The whole pay for a game, then pay to keep the game running and to fund the development of additional content. Then pay for the additional content a second time while continuing to pay for the maintenance and upkeep etc etc etc in this cycle that preys upon the slot machine effect so beautifully refined in diablo II. Hell there are people still paying subs to UO and when do they do content additions now? Every 3 or so years? MMORPG.com » Blogs » staffblog » October 2011 » Community Spotlight: YOUR Endgame?